The Magnificent Mile Lights Festival, beloved holiday celebration for more than 25 years, returns this year for the kick-off celebration of the holiday season! For the full schedule of events, please visit their website. The festival promises TWO days of free, family-friendly activities. The fun begins at Lights Festival Lane on Friday afternoon, November 16 at 4pm and continues throughout the day on Saturday. The celebration culminates in an evening tree-lighting parade on Saturday evening, November 17, 2018, which has become a beloved tradition in Chicago and across the nation via a one-hour television broadcast. 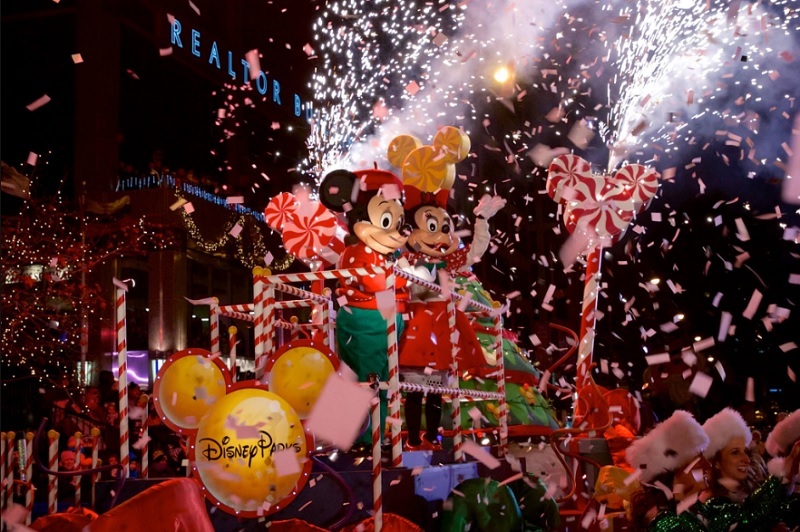 The parade steps off at 5:30pm at Oak Street & N. Michigan Avenue, traveling south on Michigan Ave. to Wacker Dr. Grand marshals Mickey Mouse & Minnie Mouse from Walt Disney World illuminate more than one million lights on 250 trees along the route! The Magnificent Mile Lights Festival draws to a grand conclusion with a spectacular fireworks display over the Chicago River at Michigan Avenue and Wacker Drive. Once we officially kick off the holiday season, get a start on your holiday wish list at The Magnificent Mile District. Major attractions, hotels, shops and restaurants celebrate with special events and offers through the new year.